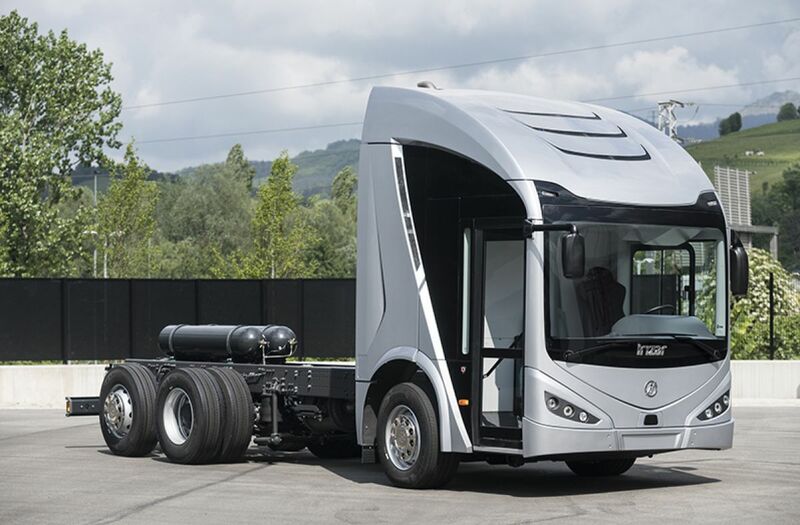 Irizar goes one step further in its commitment to sustainable urban mobility and incorporates the Irizar ie truck into its range of zero-emission products. This innovative electric truck responds to different market needs and makes it possible to circulate in cities and urban environments without generating atmospheric or acoustic pollution. This platform is the result of an R&D project developed jointly with the FCC Group, Gestion Integral del Agua (Integral Water Management) and the development and construction of infrastructures and other technology centres. The FCC Group has contributed its vast knowledge and experience in the operation of urban services and as a result of the successful collaboration, a first prototype has been produced equipped with a side-loading body for waste collection, as already existed at the beginning of the 20th century. It is a 6x2 version 8 metres long with a load capacity of 18 tonnes. The Irizar ie truck has been designed to operate in both urban and interurban environments without generating air or noise pollution. Its low noise level allows it to carry out work at night, reducing traffic at times of peak congestion. The design, the undisputed icon of all Irizar products, is one of the main attributes of this truck. Comfort and safety were essential for the development of the driver&apos;s seat, where ergonomics and optimum field of vision were paramount. The low position of the driver&apos;s seat, the width of the front and side windows as well as the ergonomic reach of all controls, controls and the dashboard display are the features where special emphasis has been placed. The cab has been developed exclusively for urban applications. It has a capacity of 4 people and a single access step in order to ensure safe transit for the driver and passengers. This makes it the vehicle with the lowest access height on the market. 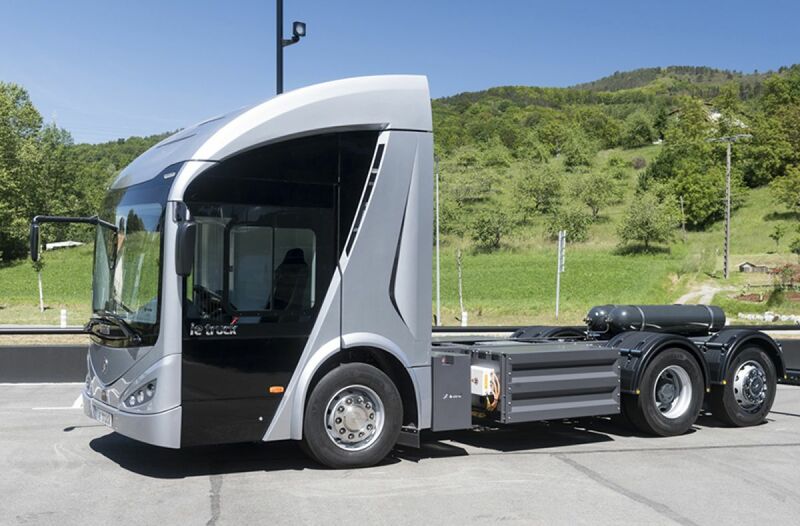 The Irizar ie truck incorporates pioneering technology developed within the Irizar Group and already used for electric buses in terms of electric traction, energy storage and control electronics, as well as the rest of the systems supplied. The vehicle has a regenerative braking function, so that the vehicle&apos;s kinetic energy is used to the maximum. It incorporates a pneumatic door that tilts towards the interior, which makes it possible to travel more safely before any type of obstacle in the streets. In addition, this door integrates anti-trapping sensors, a photocell and a sensitive edge on the leaf, to avoid any type of unexpected in the most accelerated applications. It is equipped with the latest technology in active safety. It has stability control. The integration of the camera and the front radar sensor allows the detection of lane change (LDWS), which alerts the driver in case the vehicle involuntarily deviates. It also incorporates Emergency Brake Assist (AEBS), which would activate the emergency brake in the event that the vehicle comes too close to the preceding vehicle and the driver does not react in time. 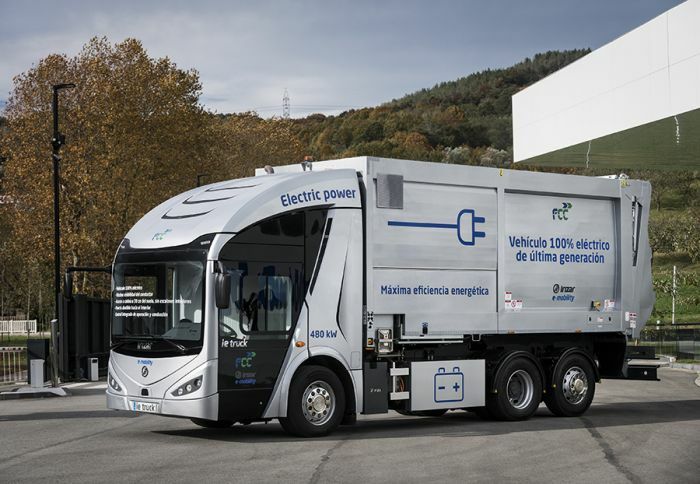 Thanks to its great versatility and flexibility, this truck has been designed for different industrial uses with a vocation for electric mobility. It allows the installation of all kinds of existing bodies with hardly any type of adaptation. The axles and direction of specific development for the application give the vehicle greater performance in terms of load capacity and manoeuvrability. Founded in 1889, the Irizar Group is today a solid, geographically and industrially diversified and continuously growing group that is firmly committed to the brand, technology and sustainability.